Pretty funny! Though, in my defense, I have to say that no way would I ever confused Patrick Dempsey for Hugh Jackman because Hugh's the man! 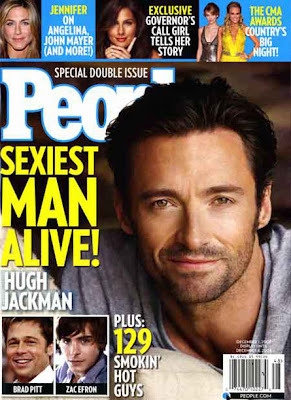 Hugh and I had a hotness falling out, some time ago. Too bad. Hey, that is pretty funny. I love Carol. She's the man. I can't wait for both of you to get famous. And I'm so happy to see Heidi and Kristina P. commenting on your blog. YAY! You are on your way to stardom. I just ordered Heidi's book. You can borrow it when I'm through. And your t-shirt is here. Tatum brought it to school on Tuesday but you were ABSENT! Nice lead up to our picture! I was just going to put it up and say something about it! I'll have to post that picture up on my blog! haha.